2015-16 Peter Reddick Bursary Award recipient Demi Insall presents the first solo exhibition of her work. 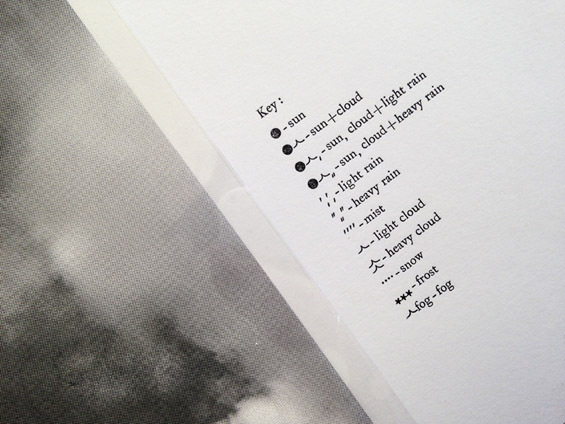 She uses a variety of printmaking techniques in order to document studies of sunlight and atmospheric conditions. The bursary enabled Demi to further develop the traditional relief printmaking processes she uses, whilst also allowing her to experiment further with the use of digital technologies within her work. The award was very kindly donated by the Lark Trust, Quartet Community Foundation. Spike Print Studio is grateful for its continuing support.